The drought has put the whole country on tenterhooks. The market is currently at very strong levels, any event has the capacity to cause very big swings in pricing. The weather at present seems to be trying to play its tricks and keep everyone on their toes. Chicago futures received some attention this week. At the start of the week, the market was on its eighth downward session in a row. The trend was bucked, albeit correcting itself the next day (Figure 1). The rise is due to continued concerns related to curbs of exports in Russia. At present, it is a case of will they, won’t they. Russia is always a hard place to make views on, as they tend to play by their own set of rules. My view at present is that they are unlikely to drastically curb exports and at most, we will see an export tariff. 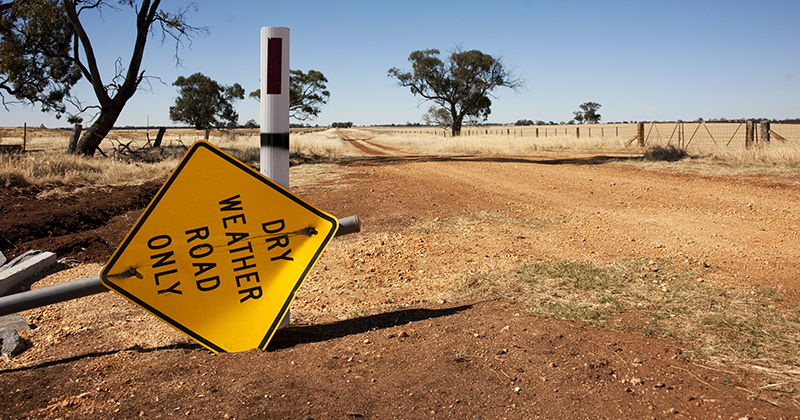 Welcome rains were received in northern NSW and southern QLD last weekend. They were however following the pattern of forecast rainfall events that we have seen throughout the year – much lower than projected. The rainfall for most in these regions is too little, too late. The market fell on the back of the expectations and projections that this event will be supportive of summer planting of sorghum (Figure 2). The weather, however, had another trick up its sleeve. On Tuesday morning there was a substantial frost event impacting large tracts of the east coast. It is too early to ascertain the extent of any damage; however, many plants are still immature for this point of the year. If we are lucky, we will have dodged a bullet. 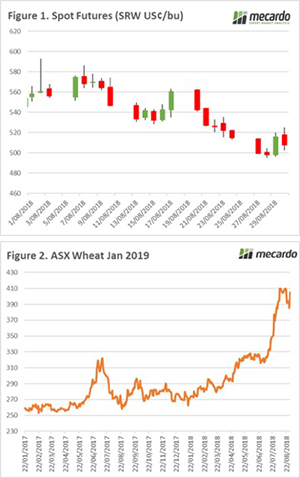 But the frost concerns did drive the market back up to sit close to highs of the past month, indicating just how nervous the market is at present. Canadian crop estimates will be released overnight. They have had some poor conditions in many regions and we could see further tightening of global stocks. Rainfall is due to hit the NSW in the middle of next week, which will hopefully provide some confidence for the summer crop.